Accepting credit cards is a key part to any business these days. It allows you to scale your business and increase revenue. Getting a merchant account helps bring brand identity, convenience, and trust to your business. Accepting credit cards brings a lot of positive perks to your business especially for online-based companies. What you may not know is there are some disadvantages that could cost your company thousands of dollars if not losing your entire business if you’re not careful. A Chargeback (also known as reversal) protects cardholders by allowing them to file a complaint regarding charges they believe are fraudulent on their credit card statement. Once a chargeback is filed a investigation takes place by the issuing bank. If the investigation determines the charge is indeed fraudulent then bank will refund the full amount back to the cardholder. What does this mean for the merchant? If a customer wins the dispute the merchant can lose the entire sale and be charged an additional fee. The chargeback fee can range anywhere from $0 to $100 depending on terms of your agreement. Not only can the merchant lose the money and be charged a chargeback fee, they can also lose out on the product or service that was delivered. This can really have a negative impact on your business. If a merchant receives to many chargebacks they can be forced to give up a portion of their sales into a reserve account that’s held for six months or even lose their merchant account all together. What are Common Reasons for Chargebacks? As a merchant you need to be aware of what reasons a customer would want to initiate a chargeback. Not only do you need to be aware of the reasons, you also need to take precautions to avoid them at all cost. One of the most common reasons for initiating a chargeback is for fraudulent transactions. This means the credit card was used without the authorization and consent of the cardholder. In most cases of fraudulent charges, the merchant is held solely accountable. Another common type of chargeback occurs when the customer claims they have returned the merchandise to the merchant or they did not receive the item requested. This could also be caused be the customer stating the product received was not as described in the sale. This could result in the merchant receiving a chargeback fee, losing the profits from the sales, and possibly losing out on the product itself. As you see this can get costly quick. This is one of the most commons reason for chargebacks. This happens when the customer states they did not receive the item, which they paid for by credit card. Also in this case, the merchant is charged accordingly. Technical issues between the bank and the merchant may lead to cardholders being charged double for the same transaction (known as duplicate processing). Issues with the authorization can also lead to account being charged, even if the sale was declined. As a merchant you should take every precaution to avoid these situations. Chargebacks can lead down a very costly road and even put a merchant out of business. Once you lose a merchant account it can be almost impossible to find another bank to take over your account. Step 1: The customer files a complaint with the issuing bank about the disputed transaction. Step 2: The bank opens an investigation to determine if the dispute is valid. Step 3: If the issuing bank deems there is a possible error they will remove the charge from the customers account and further the investigation. Step 4: The sponsoring bank then researches the validity of the initiated chargeback. If the investigation is found to be in the merchants favor, they will decline the chargeback and contact the card-issuing bank. Step 5: If the chargeback is found to be invalid, the charge is removed from the merchant’s account and the merchant’s bank will notify them of the resolution. Step 6: If a processing error has occurred, the information is sent to the card-issuing bank for re-presentation. Step 7: This is when the bank will contact the merchant and request additional information about the sale. You will need to provide as much detailed information as you can to show the charge was valid. If the documents provided are satisfactory, the chargeback will be denied and the cardholder will be recharged for the sale. If the documents turn out to not provide the needed proof of the sale, then the chargeback amount will be given to the customer. A few years ago getting a chargeback meant you were getting charged a fee and you could only fight to retain the amount you received from the sale. Since most customers call the bank directly before even giving you a chance to resolve their issue, this puts the merchants at an unfair advantage. Well that’s all changed! There is now a way for merchants to protect their business from chargebacks while maintaining a high level of customer satisfaction. Chargebackprotection.org works with some top of the line companies to provide you options. You now have a way to find out about chargebacks before they happen and work with the customer to resolve them before the chargeback is initiated. You will receive advanced notifications of customer disputes and now be given the chance eliminate the chargeback by refunding the customer. If you are a merchant have an online business facing chargeback issues, the process is simple. 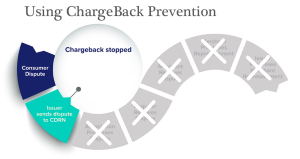 If you would like additional information on how we can help eliminate your chargeback issues today please Contact Us immediately and one of our chargeback experts will review your situation and pair you with a personalized solution.